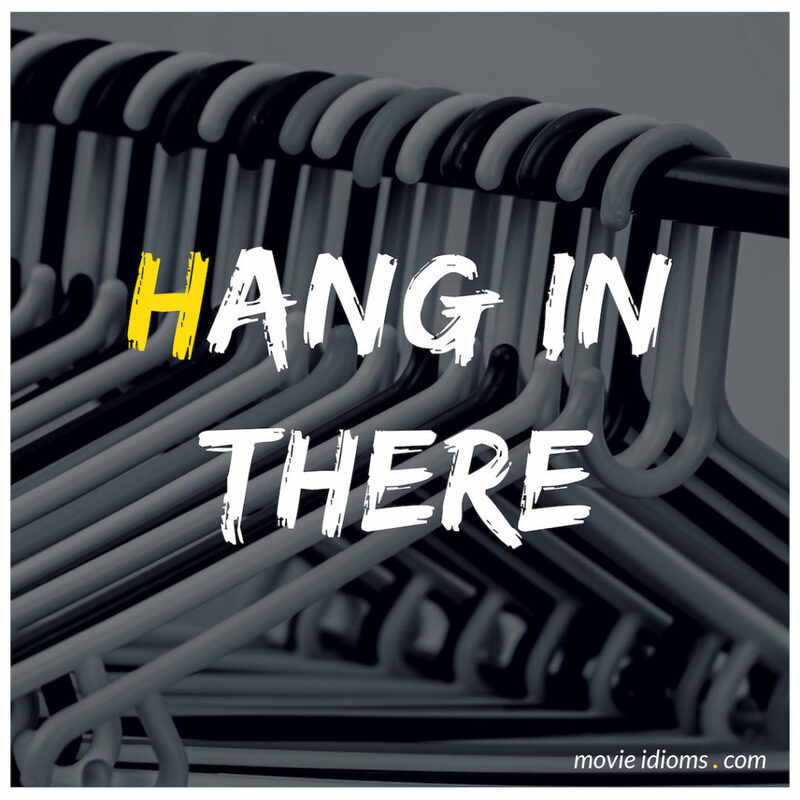 What does hang in there mean? Hannibal King: Hang in there, kitten. I’ll get help. Young Anna: Do you wanna build a snowman? Or ride our bike around the halls? I think some company is overdue. I’ve started talking to the pictures on the walls. Hang in there Joan! It gets a little lonely. All these empty rooms. Just watching the hours tick by. Helicopter paramedic: Hang in there, pal! You’re gonna make it, buddy. Chip Douglas: Hey! Am I really your buddy? Helicopter paramedic: Yeah, sure you are.